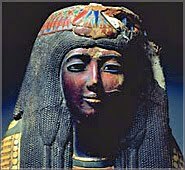 Who owns the ancient Egyptian mummy Mask of Ka-Nefer-Nefer? The mask, which belonged to a noble woman who lived over 3,000 years ago, was found in 1952. The museum, which bought it in 1998, is seeking to enjoin seizure by U.S. authorities. The museum, represented by Jeffrey Simon with Husch Blackwell in Kansas City, says it conducted a thorough investigation of the mask’s provenance before purchasing it. Moreover, they assert, the U.S. cannot show probable cause that the mask was stolen, smuggled, or otherwise clandestinely entered the United States. The museum urges that Egyptian law allowed for the personal and private ownership of Egyptian antiquities when the mask was discovered. And, even if it was stolen, they says the five-year statute of limitations under the Tariff Act of 1930 has run. For more information visit Courthouse News Service.